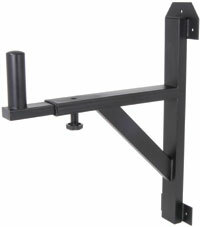 A strong adjustable speaker bracket for wall mounting speaker boxes. Adjustable 420mm min. to 600mm max.